If you’re unfamiliar with the cult classic series of Mad Max movies, now’s a good time to be initiated. Max Rockatansky – better known as Mad Max – is a peacekeeping officer serving the desert highways of a ravaged, dystopian Australia. After losing his wife and child to a criminal gang, he plunges into a life of rage-filled existence, bringing cold hard justice to every villainous deviant in his path. Mad Max was portrayed by Mel Gibson in the first three films. The last of which, Mad Max Beyond Thunder Dome, also starring Tina Turner, was released in 1985. Now, 30 years later, Tom Hardy (of Inception and The Dark Knight Rises) stars in the new reboot as the road warrior Mad Max, the post-apocalyptic world’s last hope. In the barren deserts of Australia, almost everyone has gone mad fighting for survival, and benevolence is dead. Among the survivors stands Max, who is haunted by his traumatic past and now seeks a peace of mind. But peace is a faraway fantasy in this world. Captured by the deadly Immortan Joe’s gang, Max is at the end of his rope. That is, until he runs into elite rebel Imperator Furiosa (played by Charlize Theron). Furiosa, a feisty go-getter, has stolen Immortan Joe’s prized resource: five young women kidnapped to mother the next generation. This has enraged the warlord, who launches into a high-octane road war against the rebels. Using Mad Max’s knowledge of the desert, Furiosa and the women must safely cross the scorched land to escape the madness of their captors. Mad Max: Fury Road is the fourth entry in the wildly successful Mad Max series, directed by George Miller (who incidentally also directed Happy Feet). Mel Gibson was the apt face to kick things off with the original Mad Max film in 1979. Following a major energy crisis, Australia is overrun by motorcycle gangs scavenging the lands and terrorising citizens. Max is a police officer fighting to protect the peace Down Under, until a crazed biker gang pursues and kills his wife and child. Max loses it and roams the deserts to hunt down the culprits in blind rage. You might be wondering how the Mad Max series won over so many hearts and became such a post-apocalyptic cult classic. Audiences cheered for the heart-stopping battle and chase scenes that Max brought to the screens; a visual extravagance rivalled only by the edgy costume designs of the punk-styled, leather-clad gang members. It’s fast-paced, tightly-edited and comes with a captivating storyline. No wonder it’s one of Australia’s most popular exported films. 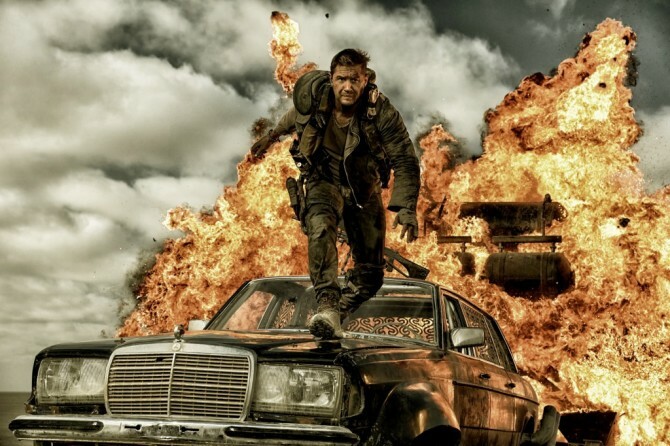 Now, Mad Max returns for a reboot starring the tough, ripped hunk Tom Hardy as the lone road warrior. Taking on the mantle, Mad Max once again tears through the desert wasteland and mows down any punk who stands in his way. 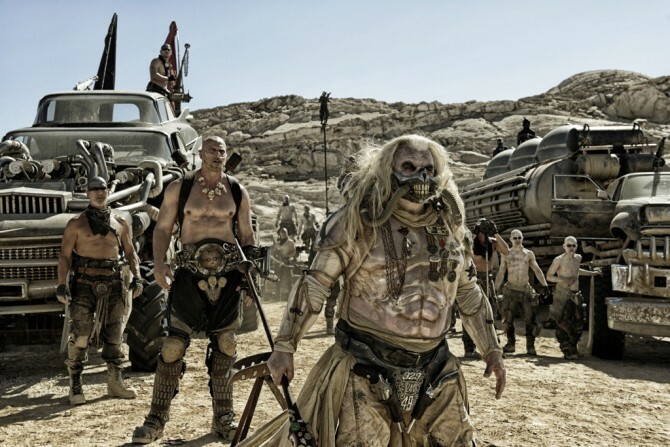 Joining him is Oscar winner Charlize Theron (of Prometheus and Snow White and the Huntsman); Nicholas Hoult (X-Men: Days of Future Past) as Nux; and Hugh Keays-Byrne (as “Toecutter” in the original Mad Max, and Sleeping Beauty) as Immortan Joe. Mad Max: Fury Road will be presented at the 68th Cannes Film Festival in the Official Selection Out of Competition on Thursday 14 May at the Grand Théâtre Lumière. Evidently, the return of this king is highly anticipated throughout the world – so you definitely have to catch it, even if you’re not already a fan. 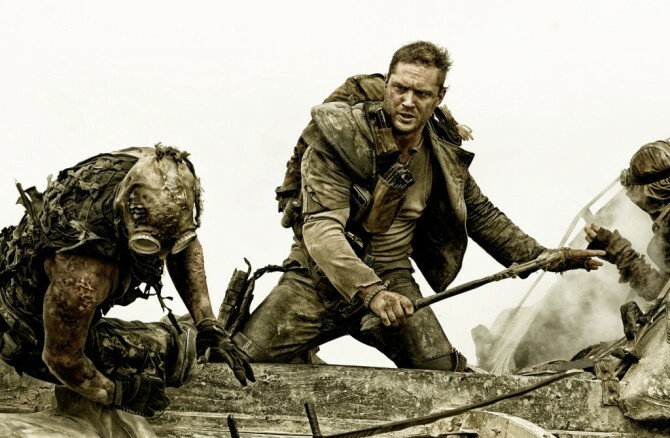 You will most probably become one after watching this Mad Max reboot!